I am delighted to let my readers here at Baby-Boomer-Retirement.com know that I have just been selected to be the official Retirement Contributor for the online magazine known as Squidoo, one of the top 250 websites in the United States. In that capacity, I will be writing articles and reviewing books about retirement, aging, financial planning and related topics for the readers of Squidoo. This added opportunity will in no way affect the articles that I will continue to write exclusively for my readers here. In fact, it will give me even more opportunities to provide you with useful information. As an extra benefit for my blog readers, I've decided that I will add an additional post each week, providing direct links to those Squidoo articles that I think will interest my readers here, whether I have written those articles or not. It may be a link to an article or retirement book review that I have written for Squidoo, or it might be a link to an article written by either the Squidoo Health & Aging Contributor or the Squidoo Alzheimers and Dementia Contributor. You will have even more access to experts in a variety of fields, simply by following this blog. The short posts containing a Squidoo article link will be in addition to the normal weekly posts that I will continue to write exclusively for the readers of Baby-Boomer-Retirement.com. My only hope is that you will find that the Squidoo articles are an additional source of useful information. Today's link is my introduction as the official Retirement Contributor to the readers of Squidoo. This week's Squidoo article also contains links to a variety of helpful Amazon books and other Squidoo articles that may interest you. 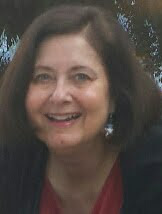 Here's the link: "I'm The 'Retired and Loving It' Contributor on Squidoo." The Squidoo articles are completely free, so enjoy this extra weekly bonus link to the articles that I think will interest you. My normal weekly posts will continue to show up regularly, a few days after each bonus post. Have fun with this new resource! Congratulations. I really enjoy reading your site. However, I have noticed some bad links and wanted to tell you about them. However, you don't seem to have a CONTACT US web page. Answer back and I will send them to you. Thank you, Joel. Please feel free to let me know right here in the comments section which links do not work and I will fix them. All comments are emailed directly to me. I really appreciate your help! Congratulations Deb! Looking forward to your posts.